Rotherham-based electronics retailer, Maplin, is in talks to save the business, according to reports. Manvers-based Maplin sells a range of products to tech-savvy hobbyists as well as general consumers and operates from 217 stores. It employs around 2,500 staff. 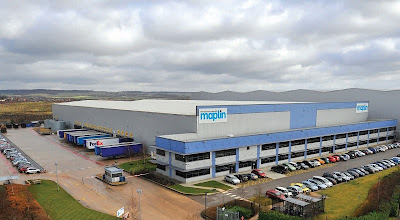 Maplin was sold for £85m to current owners Rutland Partners in 2014 and now Sky News is reporting that Rutland wants to secure new investors by the end of this week, with a pre-pack administration being considered as a viable option if a solvent sale cannot be concluded. Montagu Private Equity bought the business for a reported £244m in 2004. In a statement, a Maplin spokesperson said: "We are in advanced talks with a number of parties and expect to be in a position to announce a solvent sale of the business within days. "Once secured this will stabilise the business to the benefit of all stakeholders and provide Maplin with the financial firepower to deliver its 2020 multichannel strategy focused on smart tech." For the year ending 31 March 2017, turnover at the electronics chain increased to £235.8m from £234.6m in the previous year. Earnings before tax (EBITDA) was recorded at £8.9m, down from £12.7m and pre tax losses widened from £2.1m in 2015/16 to £3.9m for 2016/17. Recent initiatives include a new website, a focus on support and installation services and a link up with GAME over concession space. Maplin said it saw strong trading over 2017 Black Friday with sales up 5% year-on-year including its biggest ever trading day in digital. Previous media reports hinted at financial woes with stories over credit insurers cutting their exposure to the company. The CEO of Maplin, Oliver Meakin, recently moved to Argentine steak restaurant chain, Gaucho. During the period, the firm transferred operations and now has a "front office" of the commercial, marketing, ecommerce and digital function based together in London, with a "back office" of the HR, ﬁnance, IT, warehouse and distribution and contact centre functions based in Rotherham. As a result, Maplin recruited 60 new staff to its support centres. Launched by two technology enthusiasts in 1972 who were frustrated by the lack of good quality electronics components, Maplin Electronics became the experts' choice, with a reputation for the best product range and expertise. Maplin's current turnover is a world away from the early days in Essex when founders, Roger Allen and Doug Simmons, remained in their full-time jobs for two years, and the company didn't make a profit. In 2008 the firm moved to a 220,000 sq ft state of the art distribution centre and head office at Manvers in Rotherham.